The original MōVI M10 shook the filmmaking world, liberating camera movement and taking the Steadicam head-on. 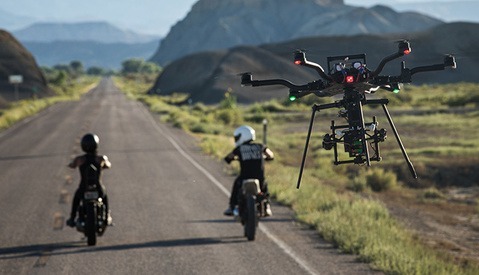 Three years on, Freefly Systems is ready to take on the market again – the market they arguably helped create – with the MōVI Pro. 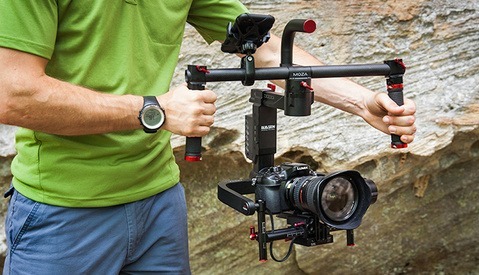 The MōVI Pro is strikingly different to most camera gimbal systems available. They’ve obviously been paying close attention to their customers, because they’ve adopted the ‘Fig Rig’ style of mounting that Philip Bloom, Casey Warren and so many others have enjoyed. For the first time, a major player in the game allows you to put the gimbal down when you’re tired – an obvious oversight that we’ve experienced for the past three years. They’re also pairing it with their new MIMIC controller, which promises to bring the feeling of controlling a gimbal into the hands of the second operator. It stands to reason that Freefly is considering this as a two-person setup, and its capabilities reflect that. There may not be much of a point for them to invest in a single-person system when DJI is catering to the lone shooter quite well, and for a quarter of the price. It’s important to think about what their competitors have been up to since the original set of MōVI rigs were released. While Freefly’s video with Vincent LaForet created a yearning for the original product, DJI and a host of others saturated the market. 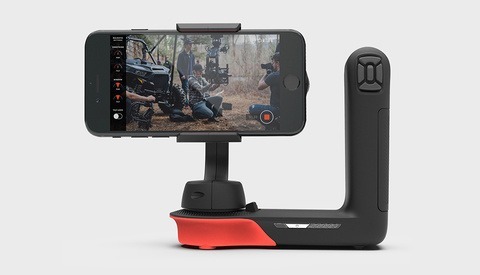 You can get gimbals for your iPhone, your DSLR, and even your Steadicam arm. Above all, I think it’s worth noting that Freefly is aiming squarely at the high-end filmmaking market. While the $6,500 price tag isn’t outrageous (especially considering the price of these systems three years ago), is it seriously a consideration for somebody on a budget? All the while, DJI is focusing on beating Freefly to the lower-end market and cornering the industrial side of things with their recent releases this week. There’s a very clear difference in markets for these two giants, but is there a clear distinction in quality? That will remain to be seen. I’m not giving up my DJI Ronin-M anytime soon. However, if I had the opportunity and needed to rent a MōVI Pro, you bet I would. I can’t imagine this being as groundbreaking as their first release, but it certainly sets out to solve the issues that have prevented higher-end teams from putting down their Steadicam. It’s the natural progression of the technology, and it’s exciting to watch it grow. What will be very interesting is seeing what the competition comes up with over the coming years. Fine piece of machinery indeed.